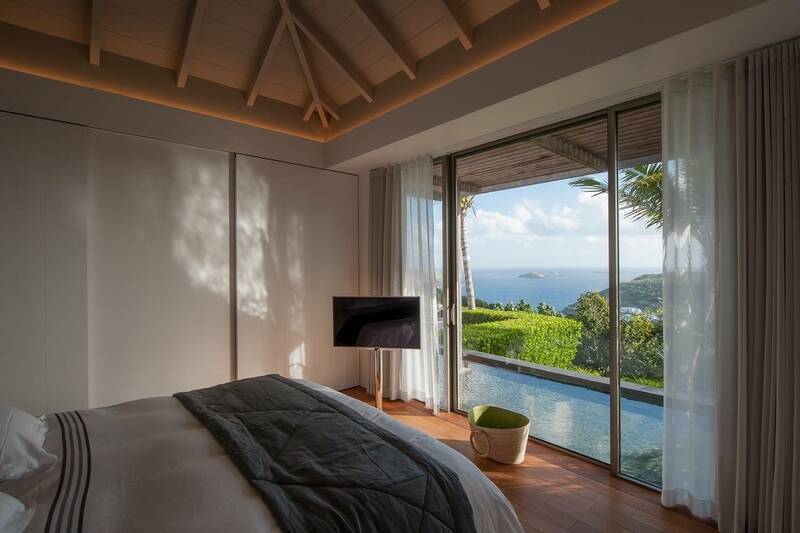 Dream About: Waking up to an ocean view and swimming laps in your extra-long infinity pool. 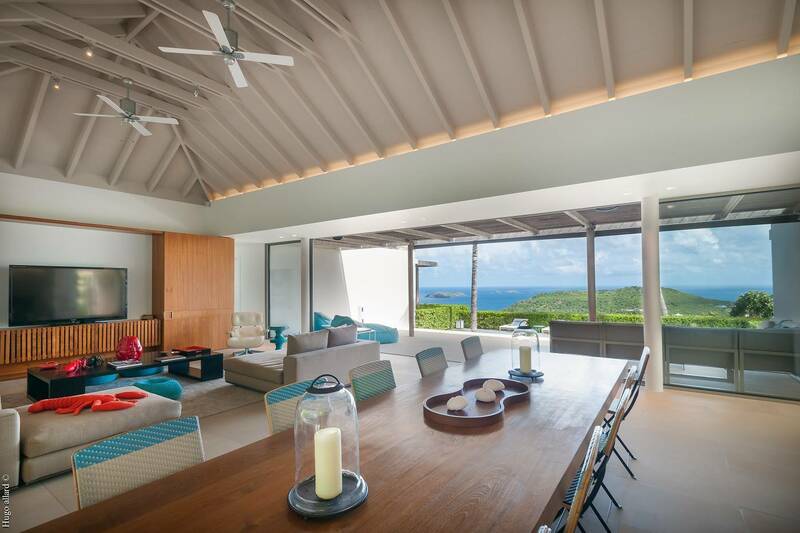 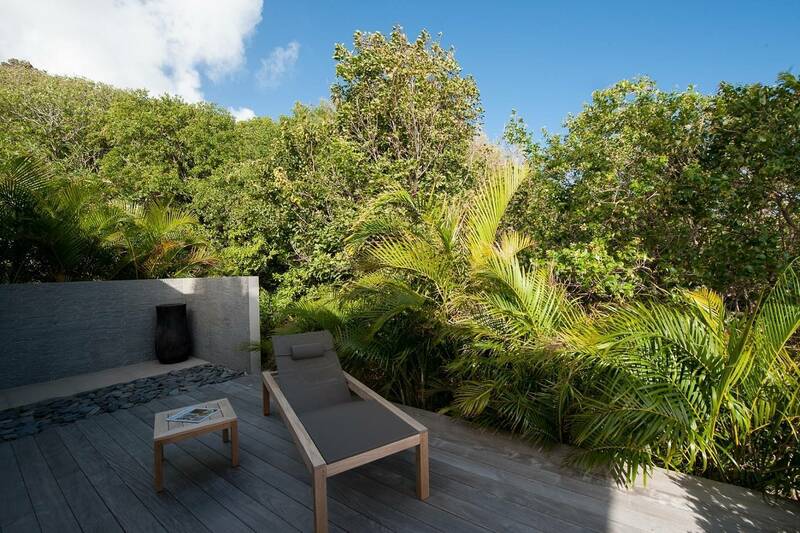 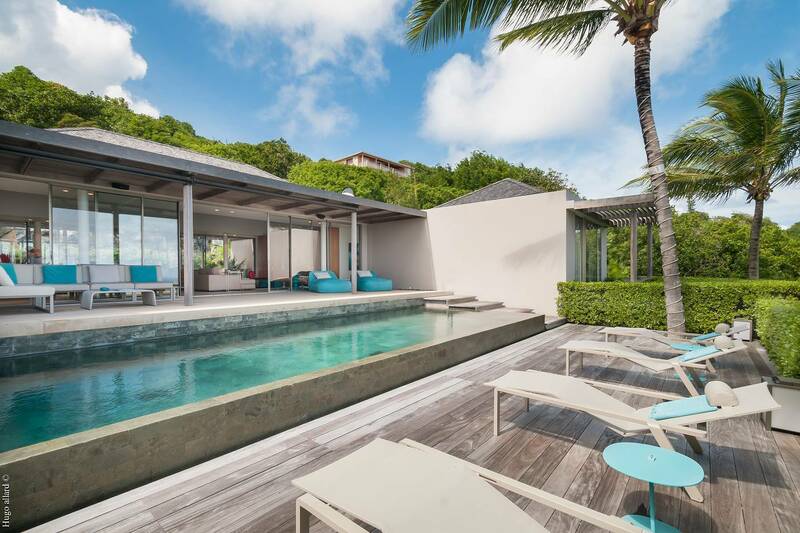 Casually elegant, two bedroom Villa Belina is privately located in Colombier and boasts spectacular views of Flamands. 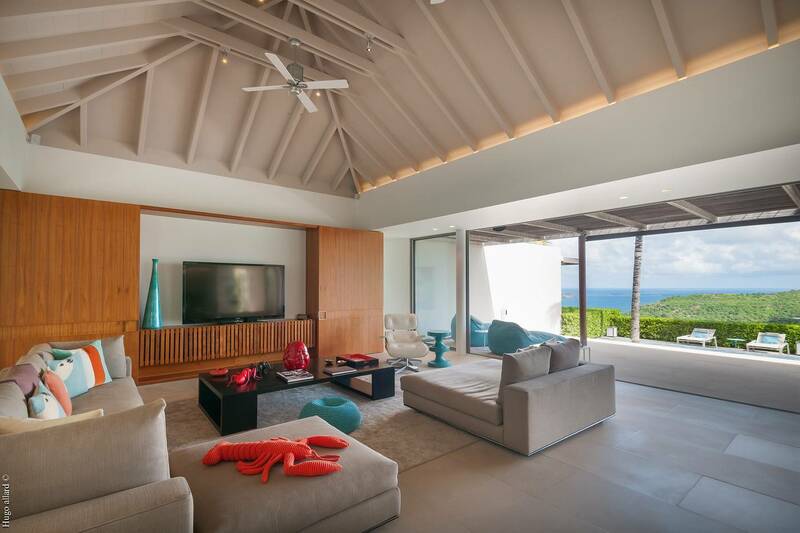 The chic, expansive indoor living space includes a sitting area with a comfy sectional couch for TV viewing, and dining for six. 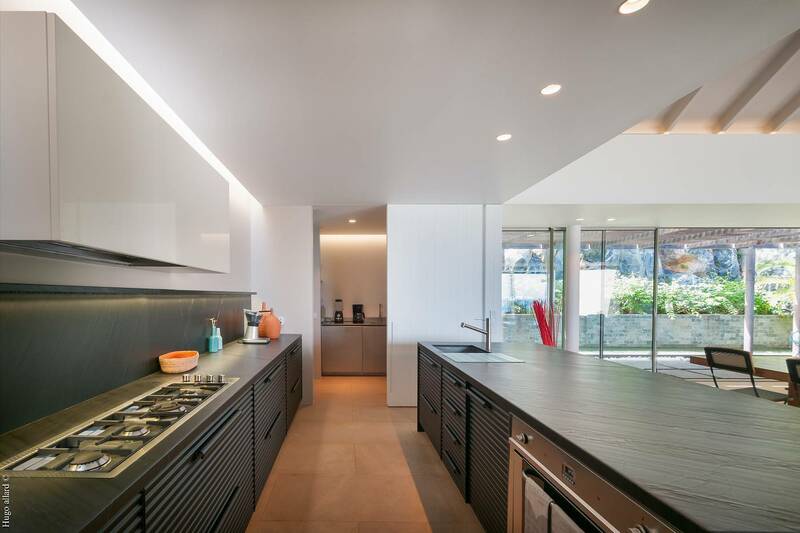 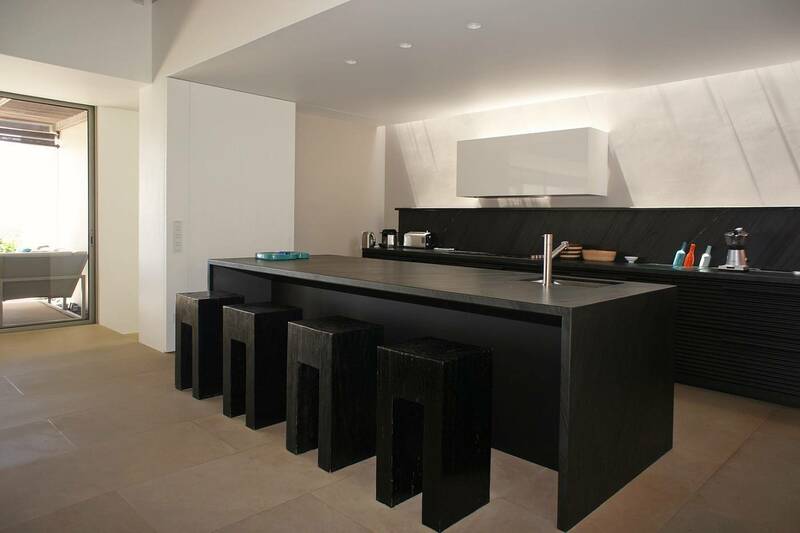 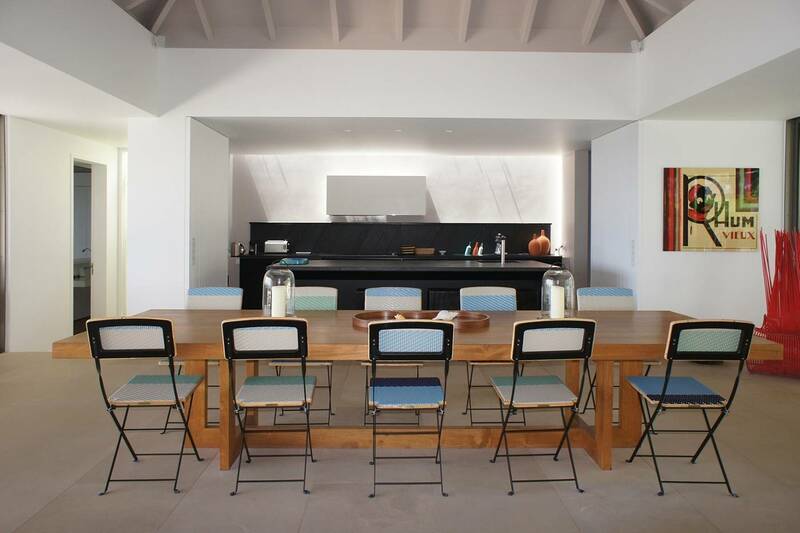 The adjacent kitchen has an island bar with seating for four. 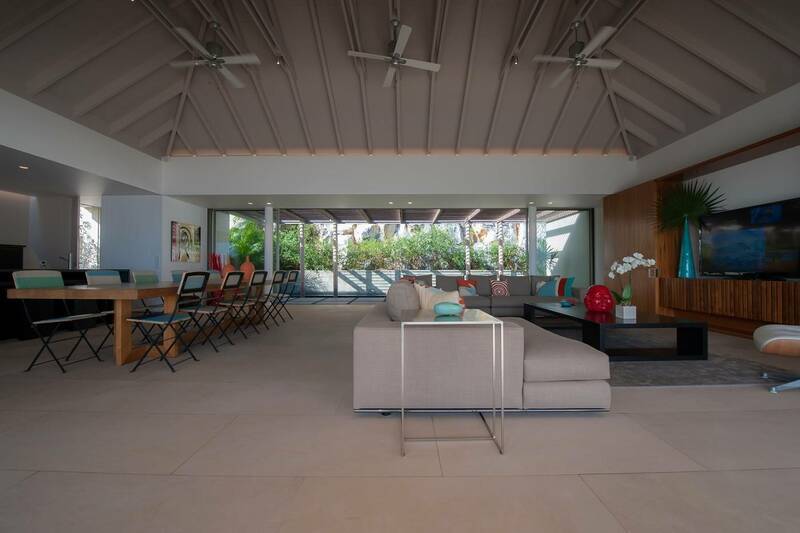 A delightful terrace is furnished to offer abundant outdoor living space and the pool deck is just a few steps down. 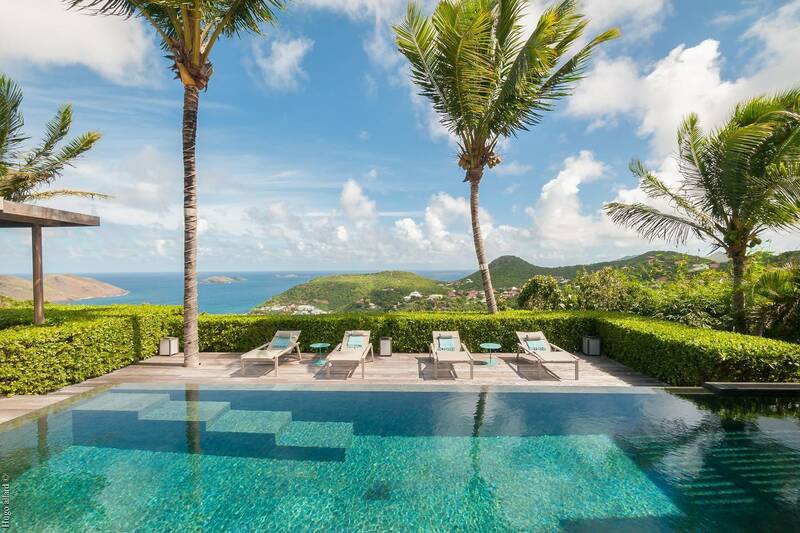 The infinity pool is extra-long and gorgeous. 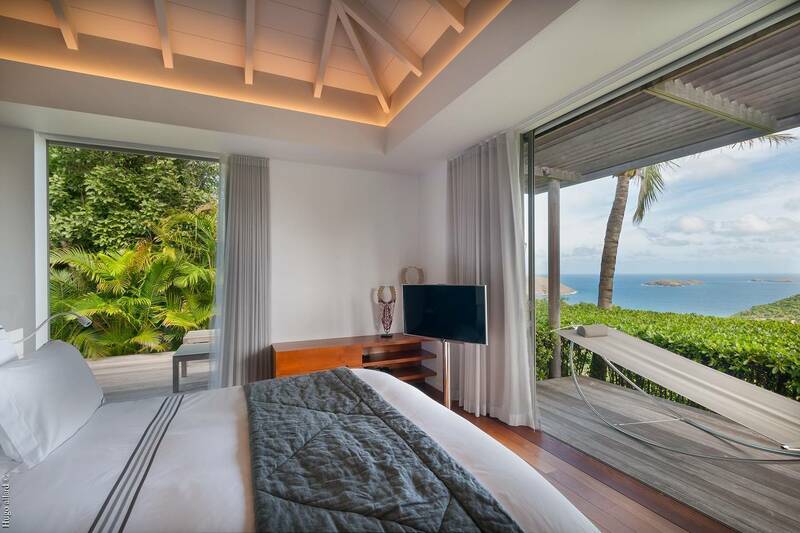 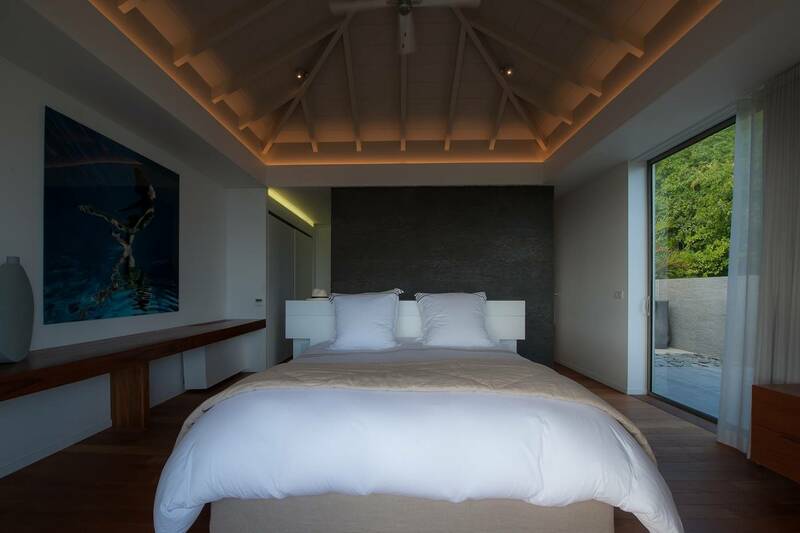 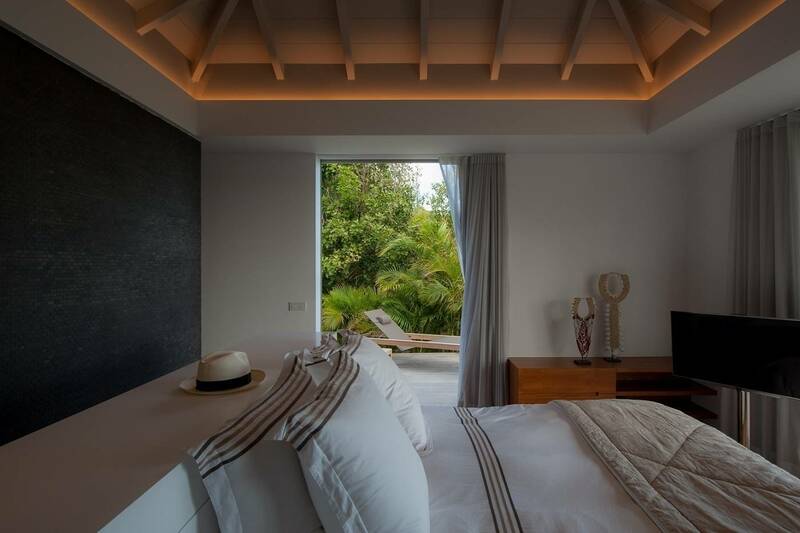 The two (king) en suite bedrooms – both with ocean views - are on either side of the villa. 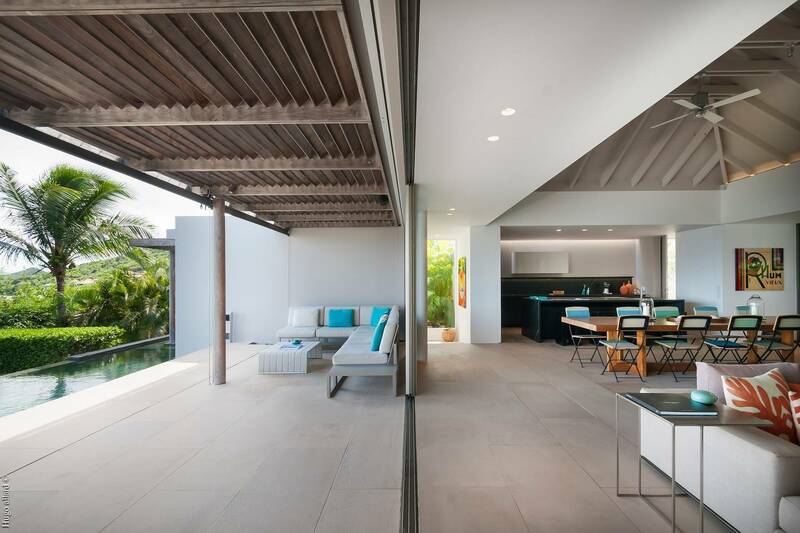 One has a private terrace and a second set of sliders open to a deck with a hammock. 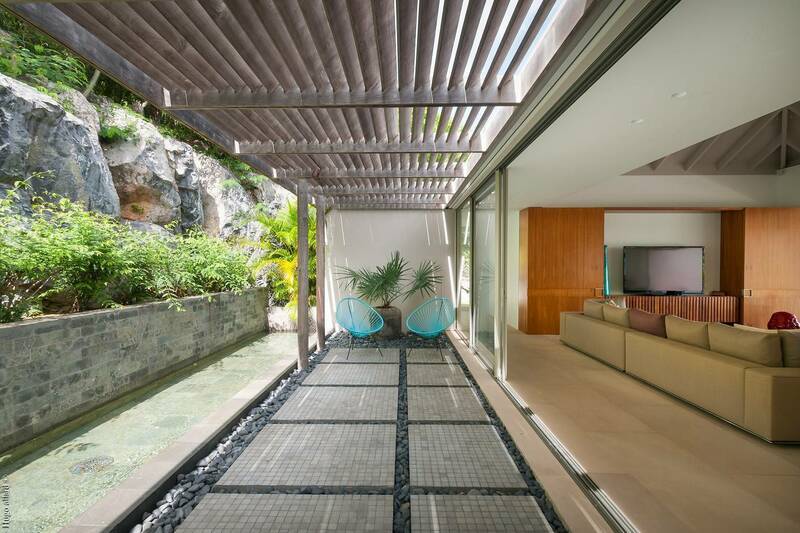 You can step right into the pool from the other. 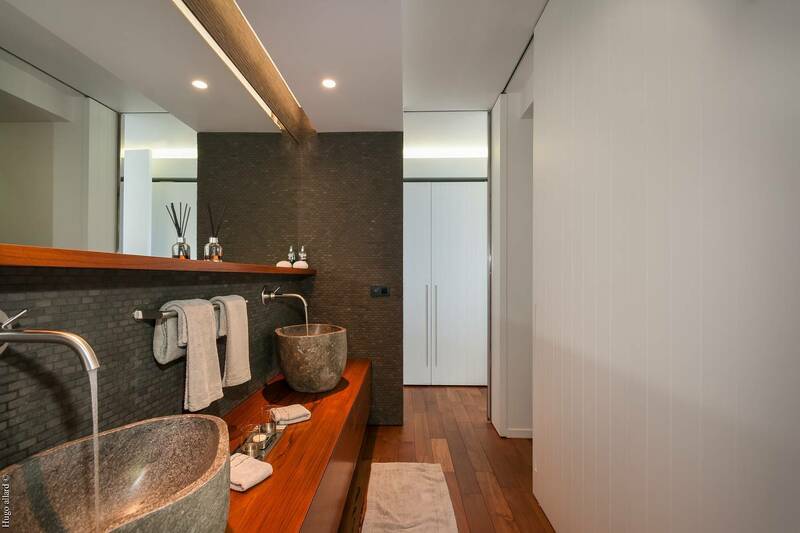 The en suite baths are beautifully appointed with double sinks, walk-in rain showers and private WCs. 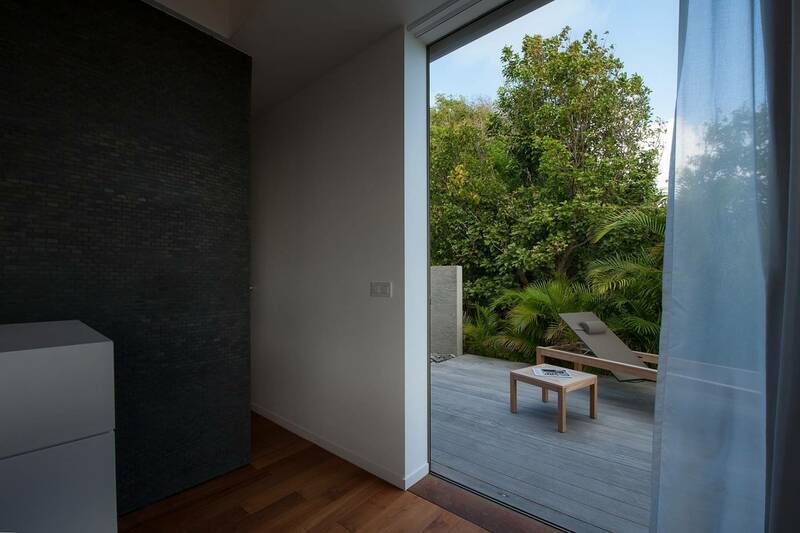 The villa’s guest bath features an outdoor firehouse-style shower. 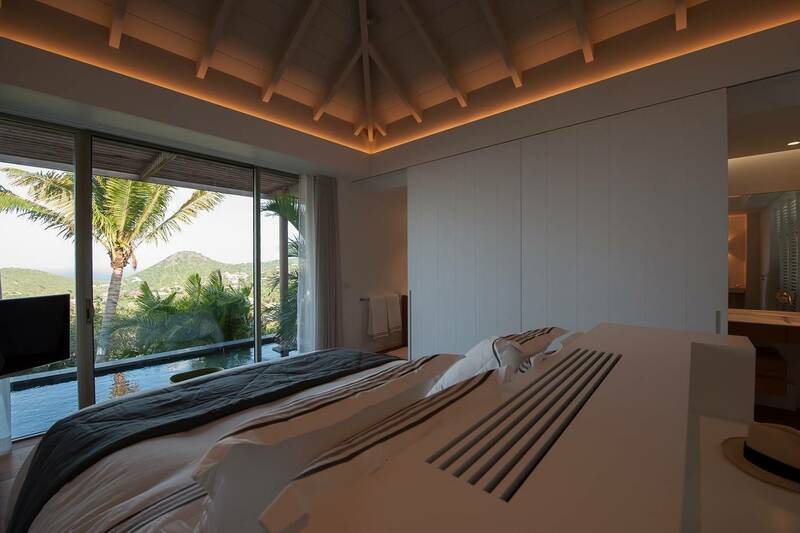 The bedroom from where you can literally step into the pool. 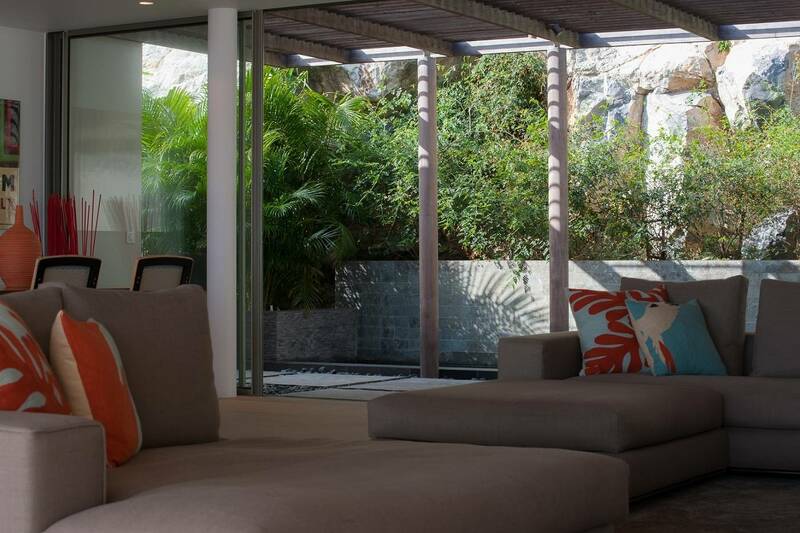 Casually elegant, expansive indoor living space and a beautifully furnished terrace; both bedrooms have en suite baths.